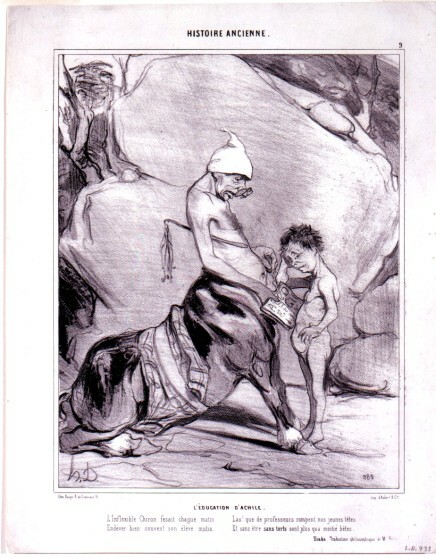 Education was a hot topic in nineteeth-century France—just as it is today in the United States. 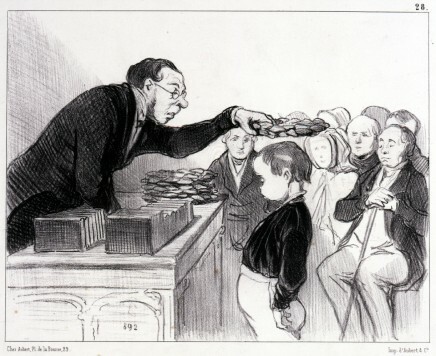 Politicians, clerics, and the general public debated the pros and cons of a state-run school system, the fraud-ridden private schools, and different forms of punishment. 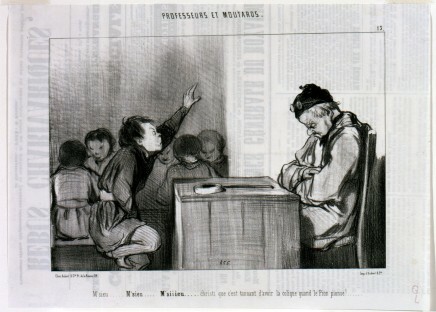 Honoré Daumier (1808-79) highlighted the world of education in a number of lithographs, including his series Professeurs et Moutards (Professors and Kids). 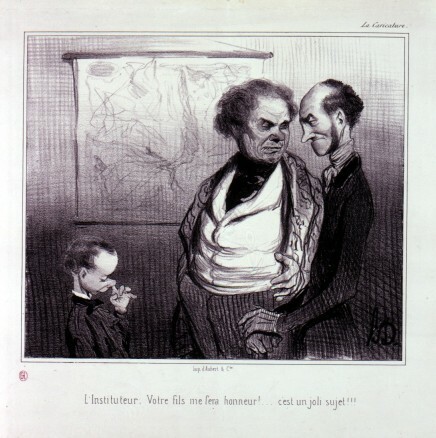 With his inimitable artistic style and sense of humor, Daumier addressed these debates along with the familiar dynamics of teacher/student relationships. 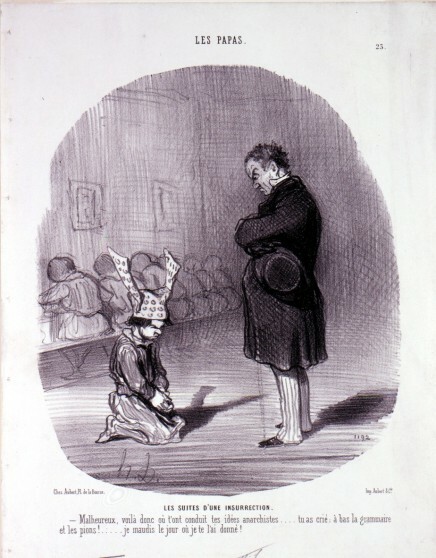 Drawn from the Armand Hammer Daumier and Contemporaries Collection, this exhibition takes a light-hearted look at students and professors and may, perhaps, take us all back to our own school days. This exhibition was organized by Carolyn Peter.